Nanjing nightlife is still lively. 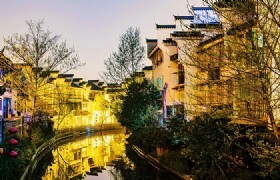 In the last two decades, Nanjing has witnessed the development of many important commercial streets, which have contributed a lot to the nightlife scene. Several shopping malls have evolved in the Hunan Road and Xinjiekou area. Dance clubs, western pubs and restaurants can be seen on both sides of these commercial streets. 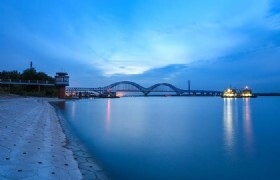 And boating at night on the Qinhuai River is a big attraction of this city. The first is known as Scarlet Bar, situated on Zhongshan Bei Lu, the bar is where the city's foreign population tend to end up at the end of the night. The bar club is always filled with people of all ages and the music is generally reggae style with a different mix of beats. Another popular place is Tequilla Bar on Shengzhou Lu is a good venue aIong with Island Bar.